Disney animators love to give character to inanimate objects. And when they are fleshing out a human character, they usually imbue any objects they use or possess with a complimentary character trait. While looking through my pictures from both the Motor Muster and Old Car Festival, held in Greenfield Village each year, I began to notice that I had some interesting Disney car tie-ins. Don’t know what I mean? I was taking close-up pictures of some of the cars to get cool reflections and to optimize the shapes and features of each car. The shot above, of a Volkswagen Beetle, made me think of an embarrassed Herbie! Inside the Henry Ford Museum you can see how an actual Model T Ford was constructed, and sit in or pose with an original model, as above. Yet no matter how much Flubber I used, I just couldn’t get this one to fly! I’m not sure just what model Cruella’s car was supposed to be in the animated film 101 Dalmatians, but it looks an awful lot like the vintage Bugatti above. Think how cool it would have been if this white Bugatti was covered in spots! But being as there are only 3 or 4 of these left in the world, and only this one in North America, I don’t suppose the museum will be upgrading the paint any time soon. The film Cars by Pixar came out in 2006 and I took the above picture in 2009. At the time, I never even clued in that I was looking at the inspiration for Doc Hudson’s racing career. And it took until 2014 for me to even realize I had this shot! It just goes to show that you never know when a Disney reference will pop up in your life. For more information about this Disney reference, please visit my post entitled Keith Partridge Buy’s Pixar’s Doc Hudson over at My Dreams of Disney. Not an exact match, but when art imitates life, art often takes liberties. I think the essence of the fake car is definitely present in the real car! Sadly, no muppet emerged from the yellow version. Hello everyone, and welcome to today’s #DisneyWorldCountdown post! Today is Day 81 in our countdown, and for today’s post we are featuring a restaurant that we’ve never eaten at before — but one that is on our reservation list for this year! I’m talking about La Hacienda de San Angel, located near the Mexico Pavilion on the shores of the World Showcase Lagoon. This restaurant, from all I hear, is a great one because it provides excellent access to view Illuminations during your meal. Our dinner is set for 6:30 PM the day we eat there, so I’m thinking we’ll be done with dinner prior to Illuminations starting, but that’s okay too, we’ll still be able to enjoy what I hope is a great meal! The restaurant doesn’t look like it would be big enough to allow for people to come back for a good viewing spot for the fireworks, so I don’t think we would be able to come back for Illuminations and see it from the restaurant (like you can do at the California Grill, for example, for Wishes). Can anyone confirm that for me if you know? If you do know, please let me know via the comments, and thanks! 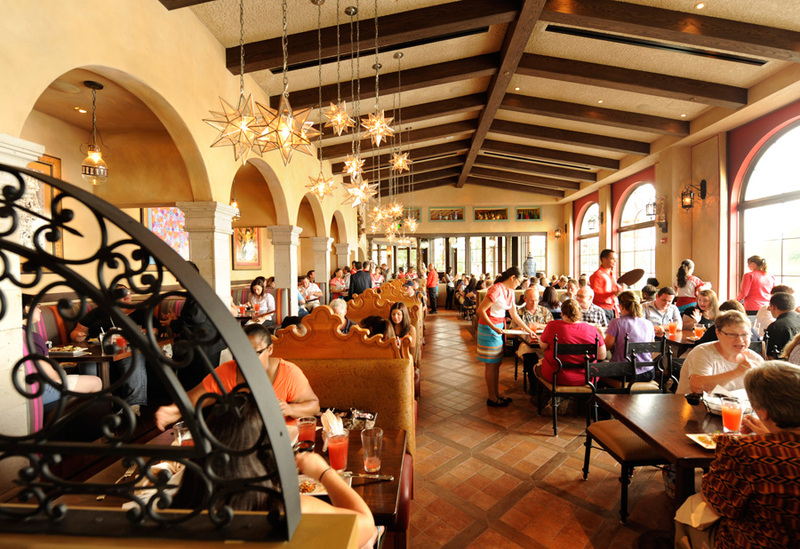 Mexican food is one of my favorite types of food to eat, but believe it or not, I have never eaten at a Mexican restaurant at the Walt Disney World Resort. This restaurant is one that I’m really looking forward to eating at, and I can’t wait to give you a dining review after we eat there! Thanks for stopping by everyone, now go out and make it a great Disney Day!